In As Blue is to Distance artists Meghan Grubb and Rachael Starbuck build parallels between landscape and longing. The artists create physically immersive spaces with sculpture, installation, and video works that focus on water, in particular, as a metaphor for constant transformation. Grubb and Starbuck collect form and content from a range of sources including tropical plants, newspaper clippings, political maps, and wave dynamics. Processing and manipulating these points of origin, the resulting works overlap on themes of intimacy, consumption, nature and politics. 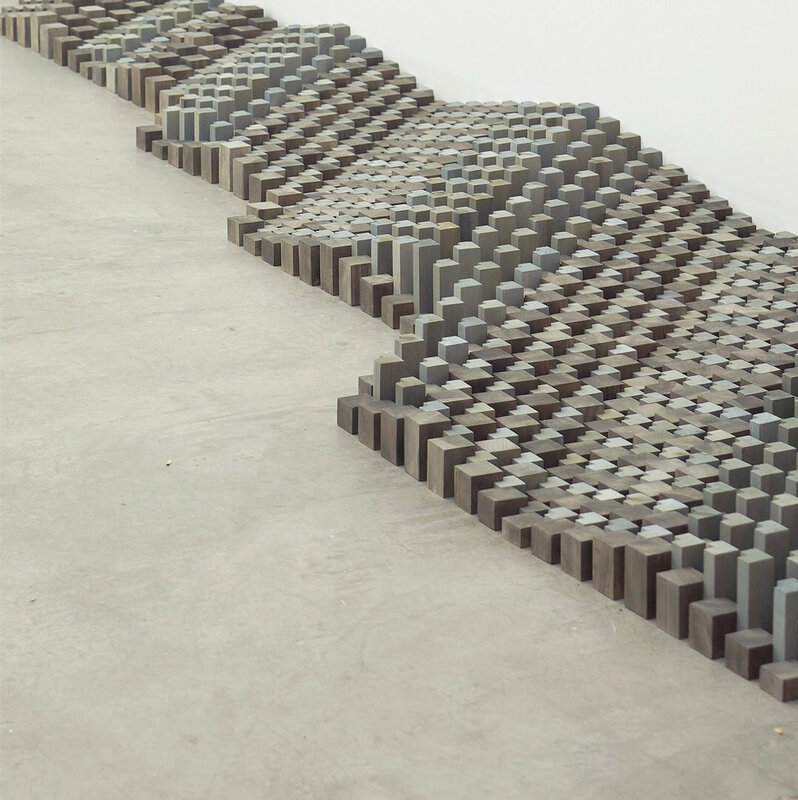 Borrowing its title from Rebecca Solnit’s essay, “The Distance of Blue,” the exhibition explores states of flux, balancing the immersive with the dissociative, the abstract with the concrete, and the grounded with the unmoored. 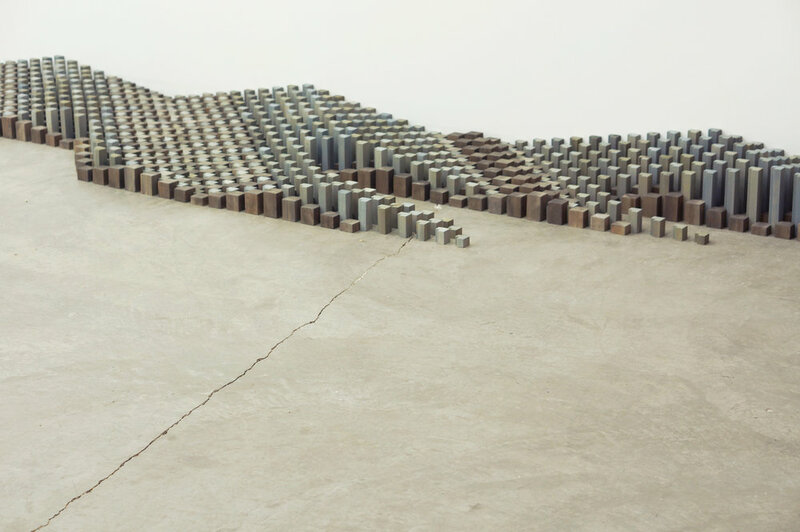 With a focus on intermediary spaces between people, landscapes, and objects, the artists visualize places of volatility and vulnerability that lie beyond physical reach. This exhibition is curated by Saint Louis-based writer and curator, Stephanie Weissberg. Meghan Grubb (b. 1982, Normal, IL) is currently living and working in Saint Louis, MO. Grubb received her MFA Art + Design from the University of Michigan in 2012, and her BA History + Studio Art from Wellesley College in 2005. 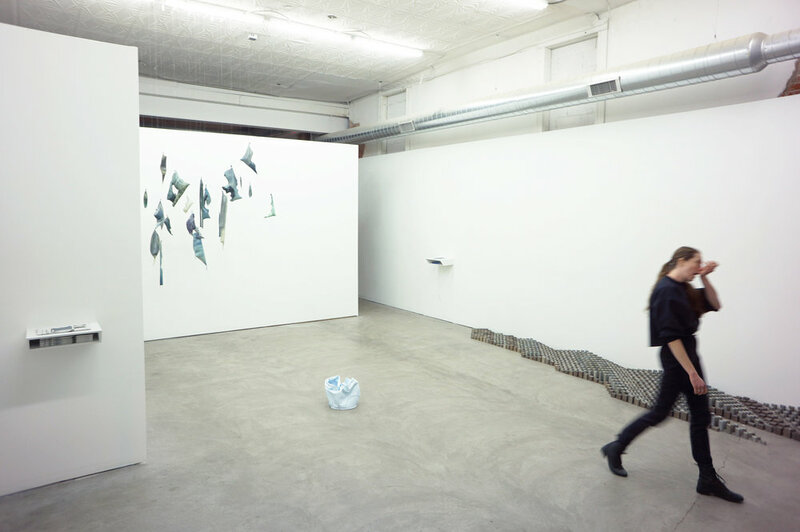 Meghan Grubb's exhibition record includes group and solo shows, collaborations, and site-specific installations. Her work has been exhibited internationally in Norway, Finland, Spain, and Thailand, and nationally at the Sculpture Center (Cleveland, OH), the Shoshana Wayne Gallery (Los Angeles), Heaven Gallery (Chicago), and the Urban Institute for Contemporary Art (Grand Rapids, MI). She has received numerous awards and grants, including the American Scandinavian Foundation Fellowship (2012-2013), Regional Arts Commission Artists Fellowship (2015), Creative Stimulus Award (2015), Alice Cole Award (2015), recent nominations for the Joan Mitchell Foundation Painters and Sculptors Grant (2014) and Joan Mitchell Foundation Emerging Artist Grant (2015 and 2016), and Regional Arts Commission Support Grants (2015 and 2018). Rachael Starbuck (b. 1988, Miami, FL) is currently living and working in Austin, TX. Starbuck received her MFA in Studio Art from the University of Texas at Austin in 2017 and her BFA in Sculpture + Extended Media from Virginia Commonwealth University in 2011. She has been a resident at ACRE Projects, The Contemporary Artists Center at Woodside, The Wassaic Project and The Vermont Studio Center and has shown work in Richmond, VA, Providence, RI, Chicago, Austin, Houston, New York and London.